Chocolate Mint Cookie Dough Bites. With St. Patrick’s day coming up, I am trying to think of some vegan friendly desserts. This recipe came to me after I made my No Bake Vegan Nutella Bites. These chocolate mint bites remind me of eating mint chocolate chip ice cream. 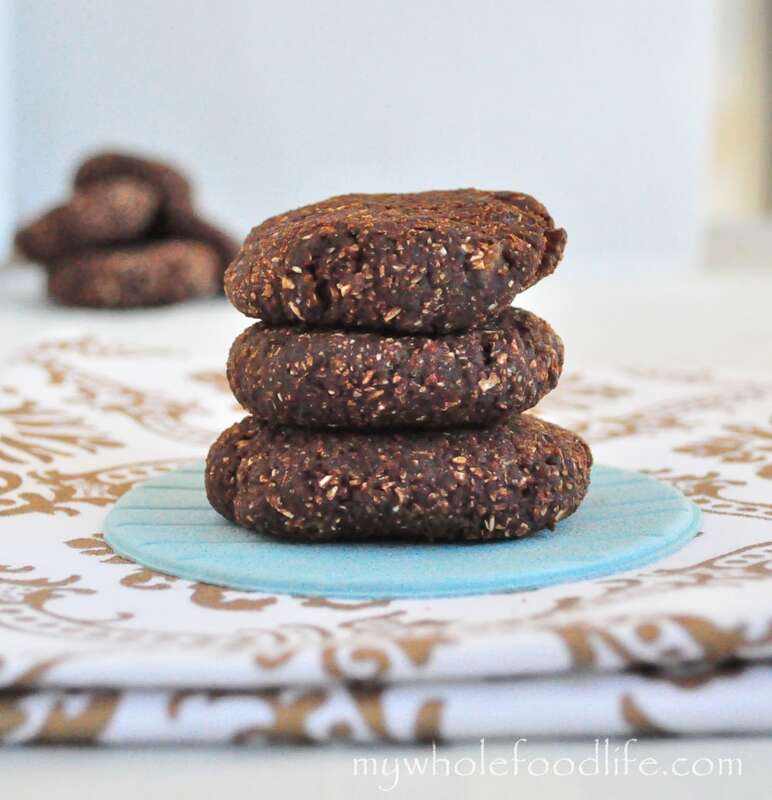 They are like Thin Mints without the guilt! These little balls of goodness are vegan, dairy free, soy free and can easily be made gluten free by using gluten free oats. The best part? They can be made in 5 minutes. Since there is no egg in this cookie dough recipe, it’s safe to eat right out of the food processor. I had to stop my daughter before she ate most them! They go really well with homemade almond milk. Yum! In a food processor mix the cashew and oats until they are a powdery consistency. Then add the dates, cocoa powder, 2 T milk and peppermint extract and mix until a dough starts to form. If the dough looks dry, add a bit more milk. Roll into balls and place on a parchment lined baking sheet . Set in the fridge to firm up. I got 12-14 bites out of my batch. I love the idea of these no bake bites and was thinking of putting them in my kids lunch boxes. The only problem is that they can't take anything with nuts to school. Could they be made without nuts? Or with seeds like pumpkin seed or sunflower seeds? Thank you! Yes they can. You can make them with oats and sunflower seeds. I tried these with almonds and they are so good! Hi Melissa, i would love to make these but was wondering if I could use something in place of the dates. Thanks! You can try apricots or figs.